Some studies show that up to 2/3 of overweight people also suffer from Irritable Bowel Syndrome (IBS) or just suffer from boating, gas, diarrhoea or constipation on a regular basis. While there is no suggestion that these issues contribute to being overweight, there are suggestions that digestive issues can dampen feelings of satiety (feeling full) and can contribute to weight gain in this way. Many people can suffer from digestive problems for a life time and never really realise that they have a problem. They simply feel that unpleasant “stomach” sensations are part of everyday life and that everybody else suffers the same. They are somewhat surprised to learn that most people don’t suffer from ongoing stomach sensations of any type. There seem to be several mechanisms involved; excessive muscle contractions in the large intestine, excessive nervous responses, inflammation and infection, and also gut flora seem to have a role to play in IBS and other digestive problems. Symptoms can be triggered by food, stress and hormones, but increasingly it seems that managing food can be fundamental to resolving digestive issues. 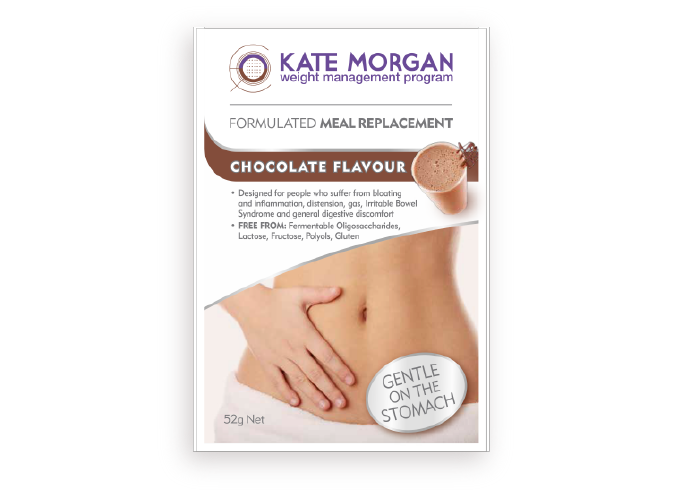 Kate Morgan has developed a shake that contains none of the ingredients that commonly trigger digestive issues. The shake is gluten free but also contains no lactose, fructose, polyols, or fermentable oligosaccharides. These are the most common irritants of the digestive system. 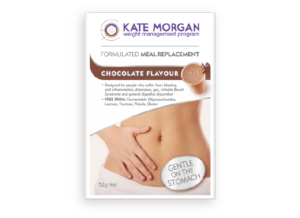 The shakes contain exactly the same nutritional profile as a normal Kate Morgan Shake, and taste extremely good. So they are worth trying, even for people who do not suffer from digestive issues.